This jacket is lightweight and hard wearing. The Lady Mistral is made from a 600D Fibretech outer shell with 3D mesh panels to maximise the airflow through the jacket. The jacket has 4 pockets in total, 2 outer and 2 inner with 1 inner pocket being waterproof. This Jacket has plenty of adjustment with Velcro adjusters on the waist, while the cuffs have Zip and Velcro adjusters. There is a connecting zip inside the jacket for use with BERING trousers. The Jacket comes with CE Approved armour on the Elbows and Shoulders with a pocket for a CE Approved back protector. 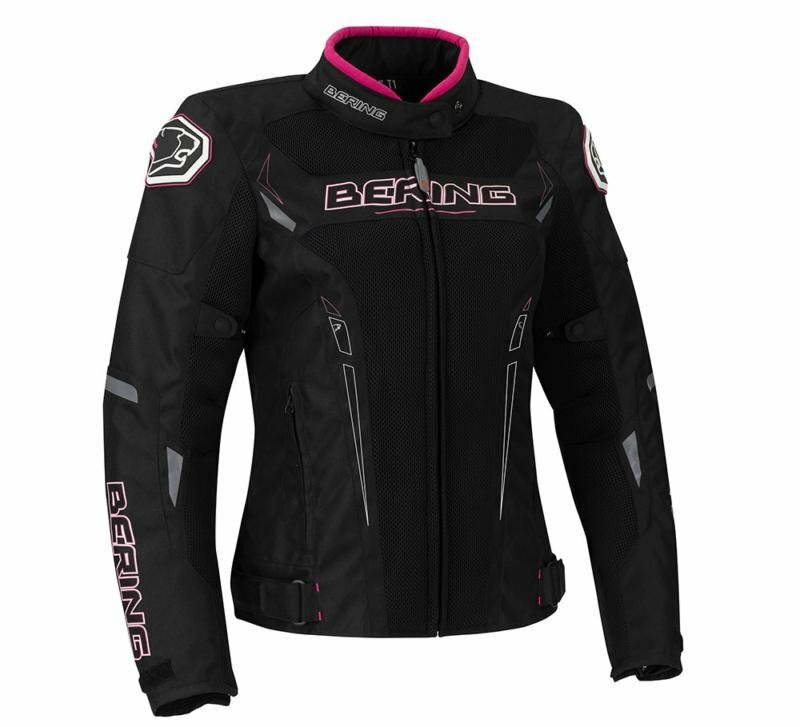 The Lady Mistral jacket is covered by the BERING UK and Ireland Exclusive 3 Year warranty when the garment is registered online.